I have 7 boxes of inventory living under the guest bed, 2 boxes in the guest closet, inventory stuffed in the guest bedroom dresser, 7 more boxes in our master bedroom closet, a closet full of hanging garments the guest bedroom, 2 boxes of shoes, 1 rack of shoes, and various boxes of junk–I mean valuable inventory–in the garbage. So yeah, there’s a lot of stuff around here. My store usually has around 400 items listed at any given time, and I’ve got a start up store that focuses on women’s career & professional clothing that has 25 items. I figured it was time for a purge. I HAD NO IDEA HOW MUCH INVENTORY WAS UNLISTED. Let me clarify: if it’s in a storage box or bag, it’s supposed to be listed. But I found 15 items that were in inventorial (is that a word?) oblivion. FIFTEEN! About $150 worth of stuff that should have been up for sale! I found 10 more items that were listed, but the photography was so crappy that I’m ashamed to call it mine. I estimate that $250 worth of inventory was stored unlisted or poorly listed. My goal this week is to get it all back on the market, this time with better photography. It was purchased and returned. Ebay doesn’t automatically relist returns, only items that are cancelled or unpaid. Sometimes I forget to manually relist my returns. It was pictured, I made notes of the measurements, stored it, and then lost my notes. I’m pretty should this is the reason for 50% of this lost inventory. If I had a dedicated inventory notebook, this wouldn’t happen. But my kids keep running off with my notebooks. It’s not my fault! It was stored by accident. Sometimes a thing needs to be washed or mended or whatever so I put it in a pile. And then I come back later and mistake it for a “listed” pile and away it goes to storage. This was the case for at least one item in this stack. Have you purged your inventory lately? Comment below! 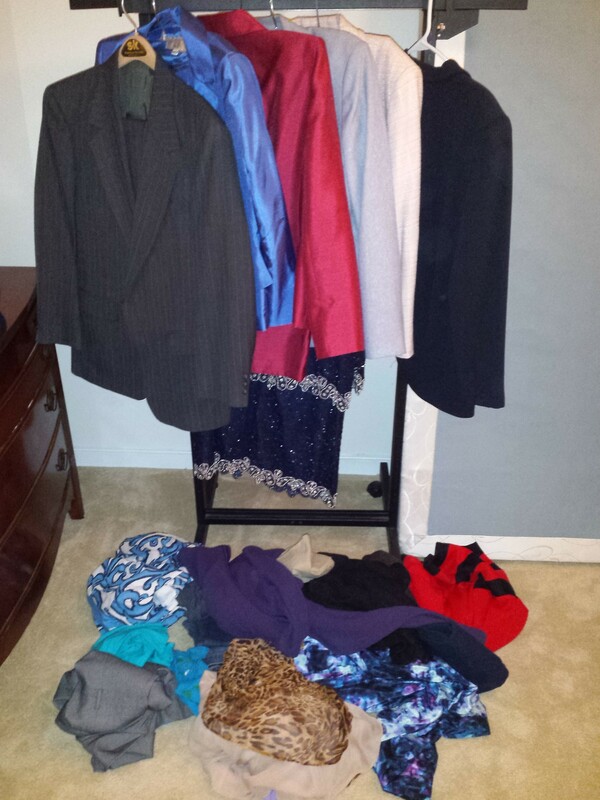 Separator image Posted in ebay, fashion, resale and tagged with organization, storage. © The Simple Little Wardrobe – Proudly powered by WordPress | Theme: Silk by PixelGrade.